That’s what the Bureau of Labor Statistics reports—and with the unemployment rate currently around 4 percent, attractive benefits are only going to become more important when it comes to recruiting talent and reducing employee turnover. In fact, more than two-thirds (72 percent) of employers responding to the Society Resource Management for Human (SHRM)’s annual survey report increasing benefit offerings in the last 12 months in order to retain employees. The importance of good benefits is clear to the workforce, too. The vast majority of employees (92 percent) say benefits are an important part of their job satisfaction. So important, in fact, benefits are the top reason for looking for another position for 29 percent of employees. Conversely, those who say they are unlikely to job hunt cite their overall benefits package as a reason for staying. 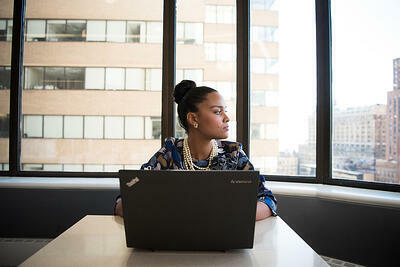 Talented employees value their benefits. And they particularly value educational assistance benefits. Here’s how HR and benefits professionals can use tuition assistance and other education incentives to ensure a strong workforce. In a 2016 EdAssist® study, Student Loan Debt: Who’s Paying the Price?, 85 percent of employees said they want to continue learning. Despite the strong interest in additional education, 64 percent say their current debt would keep them from pursuing a new degree. That’s why tuition assistance is an increasingly critical part of a cutting-edge benefits package. Learning cultures attract talent – 79 percent said tuition assistance was an important or very important factor in joining their company, and 65 percent rated tuition assistance as one of the best benefits offered. 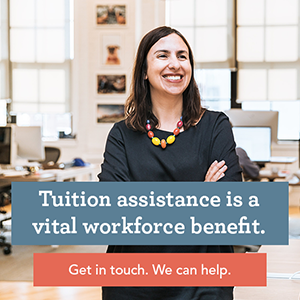 Traditionally, tuition assistance eligibility has been limited to full-time employees and or executives, and has required a certain amount of service time. For eligible employees, the employer pays all or part of the cost to attend college or university classes; in exchange, the employee pledges that they’ll continue working there for between two and five years. Some company programs cover only curriculum related to the employee’s specific job; others cover costs for any classes. There is usually a cap on benefits, either in the dollars available per employee per year, or in the number of classes the company will pay for per year, per employee. It can be a fairly straightforward benefit—or it can become complex enough to require outside management. To encourage a greater diversity of participants, and to maximize the retention impact of tuition assistance, some companies are expanding the benefit to front line employees—the population with the highest turnover. Their educational needs vary, from working toward a bachelor’s degree to participating in a skills boot camp to earning a GED. Companies have used a wide array of different strategies to address these needs; we highlighted a few of the most innovative in this post, including Starbucks’ partnership with Arizona State University’s online campus and McDonald’s comprehensive efforts to prepare their young frontline staff for future careers. Finally, other innovations are happening as companies rethink the tuition payment process. Many employees can’t afford to pay tuition costs up front while waiting for reimbursement, so they either take out loans or pass on the benefit entirely. According to TrainingIndustry.com, forward-thinking companies are implementing direct billing plans to pay the cost directly to schools, rather than making employees pay and then wait for reimbursement. This single change makes tuition assistance a feasible opportunity for many low and middle-income employees. EdAssist reports tuition assistance is indeed a powerful retention tool: participants are 50 percent less likely to leave the organization that has supported them. Tuition assistance gives employees the opportunity to pursue personal ambitions and helps them envision long-term careers with their employees. Employees report greater job satisfaction and that the education they received makes them more effective at work. In 2016, Lumina Foundation analyzed Cigna’s Education Reimbursement Program, finding every dollar put into the program returned $1.29 in savings. The study demonstrated the financial impact of tuition assistance, a benefit offered by 60 percent of employers. Cigna’s program was shown to increase career opportunity and employee retention. Program participants are 10 percent more likely to be promoted, 7.5 percent more likely to be transferred within Cigna, and eight percent more likely to stay at the company, reducing across-the-board talent management and recruiting costs. Whether it’s a traditional program that reimburses tuition for full-time staff, or an innovative way to help entry-level employees, a tuition assistance program can be a powerful addition to any HR department’s benefit offering.